Why Does Voice of the Customer Matter? Voice of the Customer programs are proven to help organizations retain customers, build better products, deliver better services, and systematically understand customer experience in order to drive change. Organizations that understand their customer journey are much more likely to improve their products to fit their customers’ evolving requirements and therefore to foster their loyalty. Promote culture change: By driving customer-centricity and cross-functional change. Why Implement a Voice of the Customer Program? 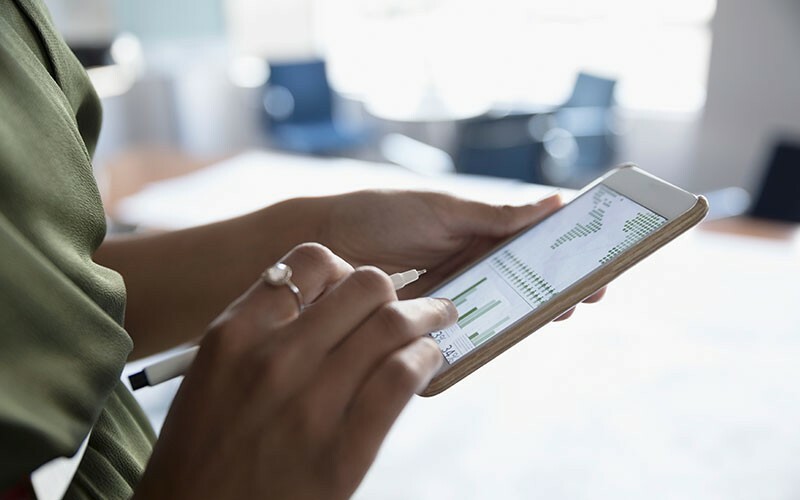 With the right program in place, the Voice of the Customer can directly correlate to business success metrics so it’s well worth the time and effort to connect with customers using the right channel, at the right time. But this is merely the beginning… Make sure you share the customer voice in real time with the right people who can take action to deliver results. Otherwise your program will fail. Understanding loyalty and gathering feedback at key points in the customer journey have helped numerous organizations become industry leaders in their field. So often, business believe they know what their customers think and feel, and how their products and services perform, but customer-perceived quality trumps all! If they don’t think it’s good enough, it doesn’t matter what you think… They’ll simply switch to a different vendor or store. How Do You Build a Voice of the Customer Program? We recommend you follow the 5 stages below to ensure your VoC program delivers the insight you need to build strong customer experiences, create competitive advantage and generate ROI. How Does Voice of the Customer Help Your Business? What Are the Characteristics of Best-in-Class Voice of the Customer Programs? What Voices Are There Besides the Voice of the Customer? What Channel Should You Use to Collect the Voice of the Customer? In order to collect the right feedback at the right time from your customers, you need to make sure you do so in the channel your customers want to engage in. This will not only boost response rates, but show your customers you care about their preferences too. No channel is better than another – it’s all about selecting the right way to engage with your customers so that they want to share their feedback with you and know it will be actioned. When to Collect the Voice of the Customer? A good starting point to answering this question is a Customer Journey Map. This exercise enables organizations to identify key touchpoints in the customer journey where they need to gather and understand feedback in order to improve their internal process, and customer experience as a whole. Throughout the buying cycle (before, during and after purchase), customers interact with different people at different times, so understanding their level of satisfaction in detail at various key interaction – or touchpoint - helps you understand what you should fix and what the impact of that action will mean for the customer and for your business. In addition to understanding these touchpoints, analyzing the state of the overall relationship with your customers can also be immensely effective. This is usually done at precise intervals (e.g. 3 months after purchase or before renewal). What you’re looking for here is a continuous stream of feedback that will help you trend the health of your customer relationships over time, helping fuel every business decision you make. How Do You Know the Voice of the Customer Works? When formal VoC programs first became mainstream, customer experience was (and sometimes still is) in the hands of various departments like sales and marketing, rather than CX teams. Common sense that doing right by your customers was a good idea for the business prevailed then, and often required a leap of faith until financial benefits could be proven. Although CX maturity does fluctuate widely by region, industry, business size, etc., it has become much easier now to build a business case before you implement a VoC program, or before you kick off a CX initiative. Analysts like Forrester and Gartner have published a variety of reports linking VoC and CX to financial benefits. At Confirmit, we run an annual Achievement in Customer Excellence (ACE) Awards that showcases our clients’ programs and how they’re able to deliver results within their organization based on their VoC programs and the actions they take as a result. Confirmit’s customer engagement model provides the power to listen to the Voice of the Customer, integrate it with financial, operational and free-form text data to generate powerful insight, and take action that will deliver effective business change and create competitive advantage. Let’s get started!